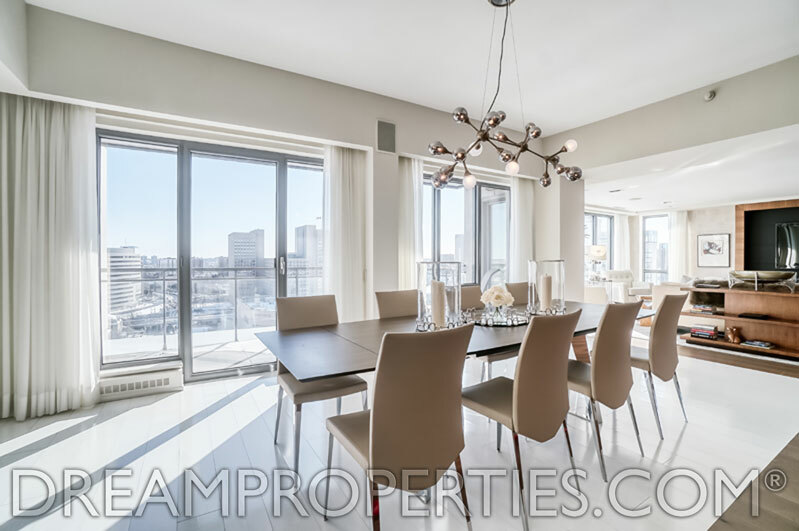 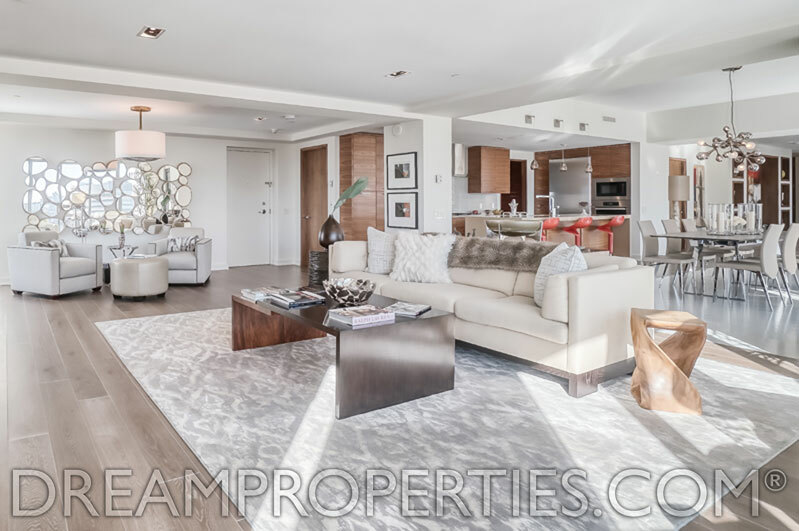 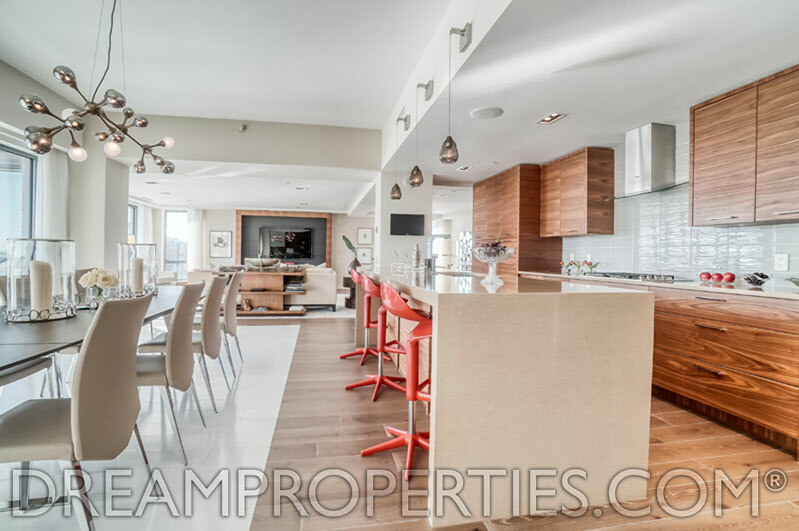 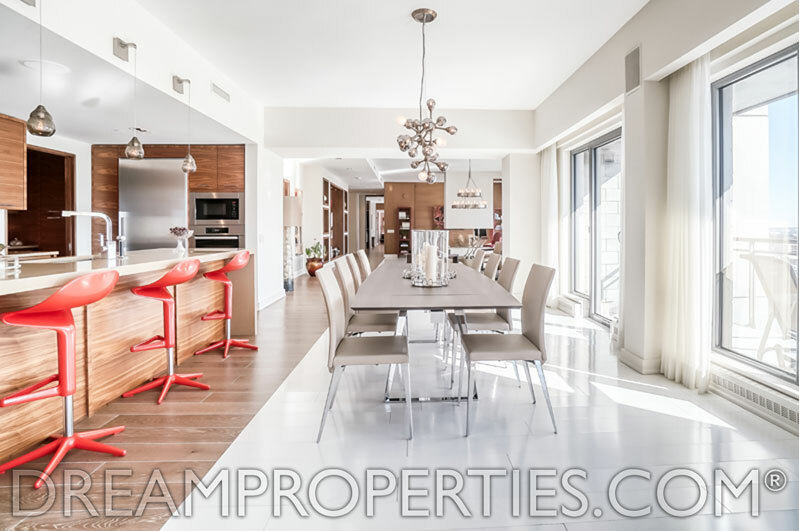 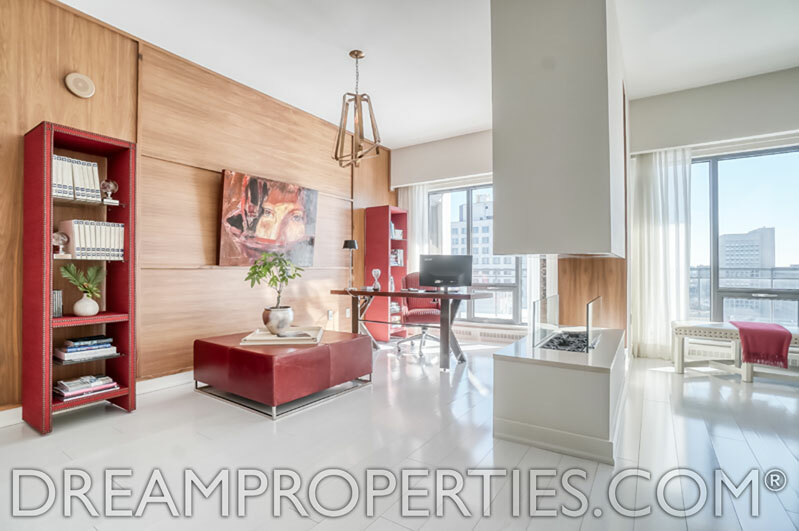 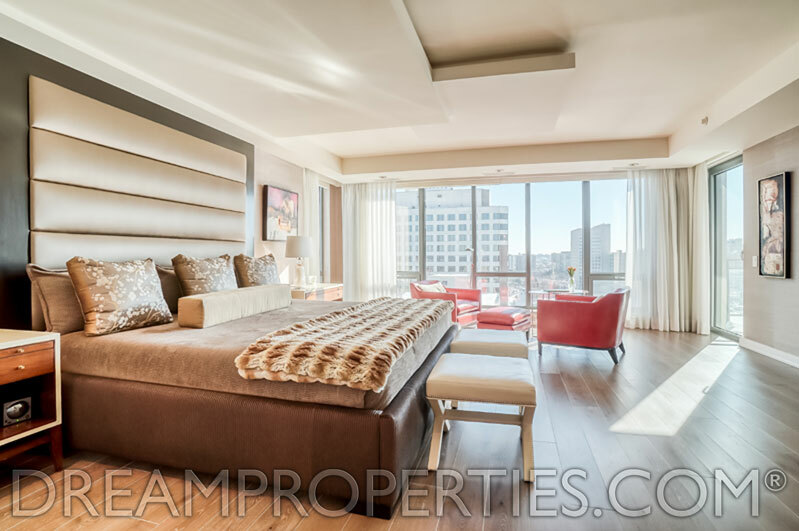 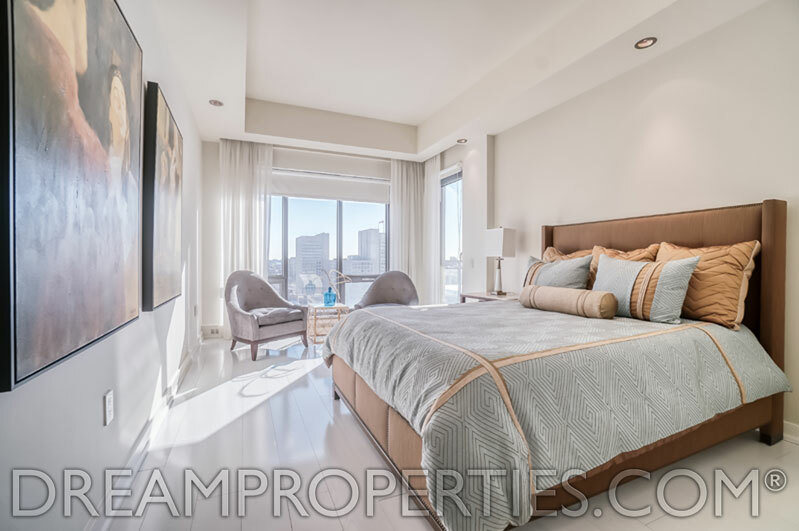 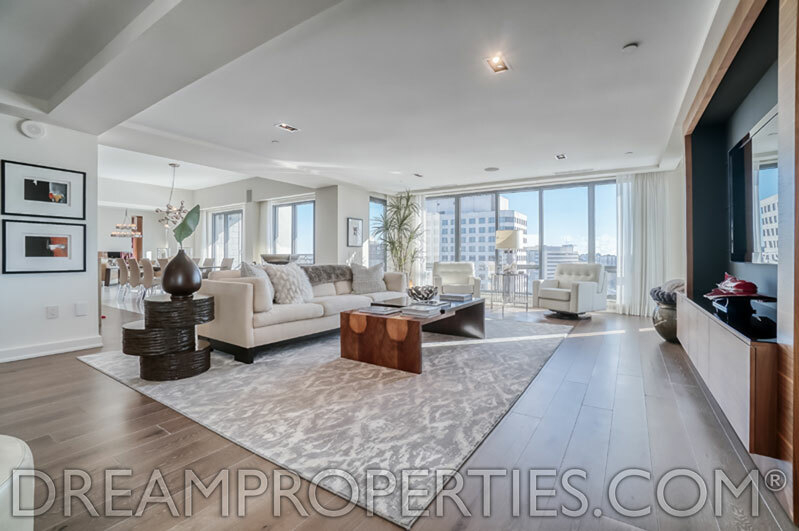 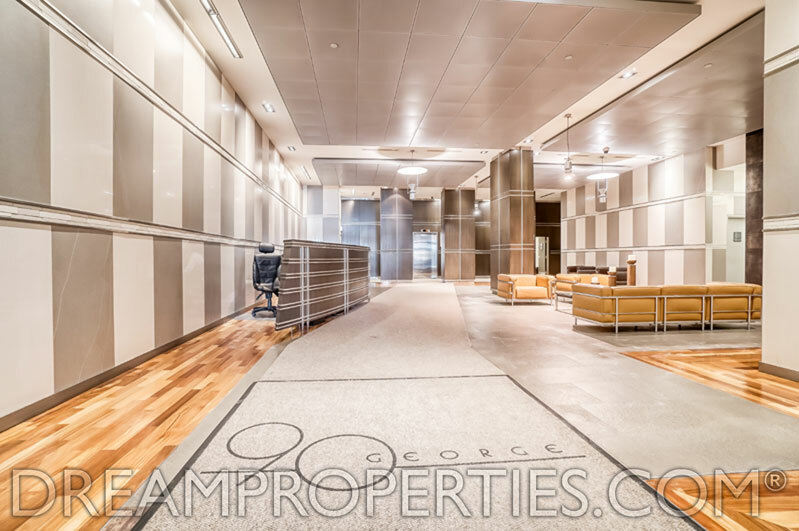 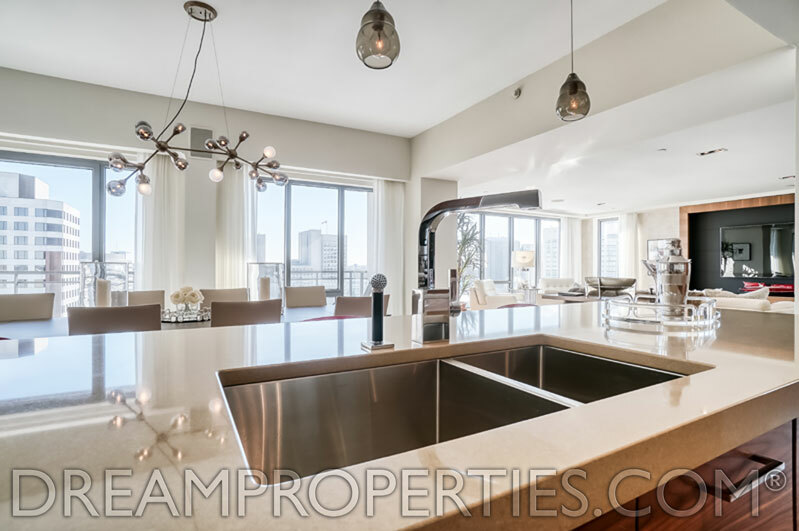 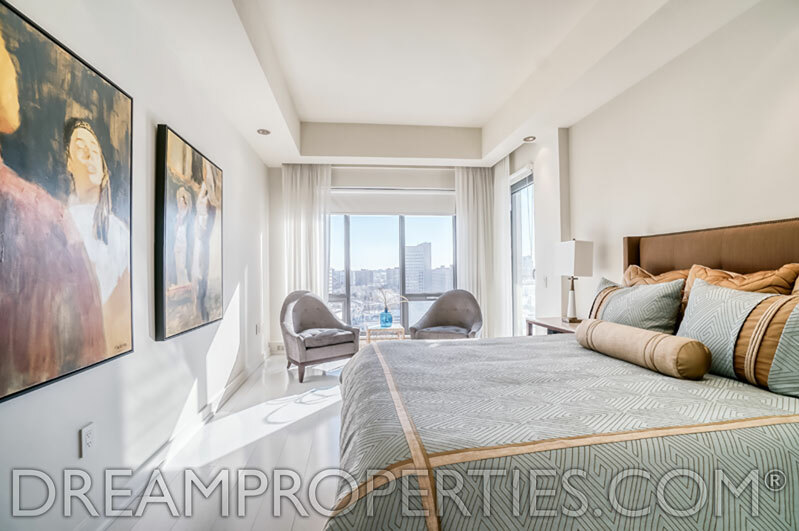 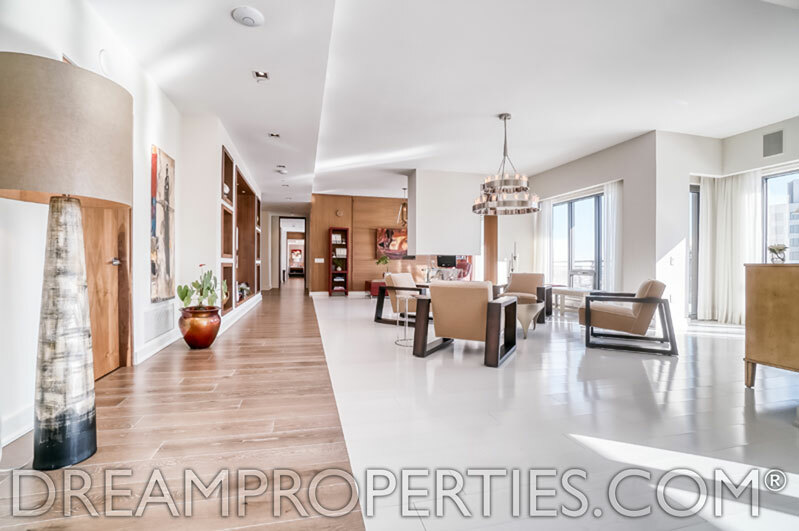 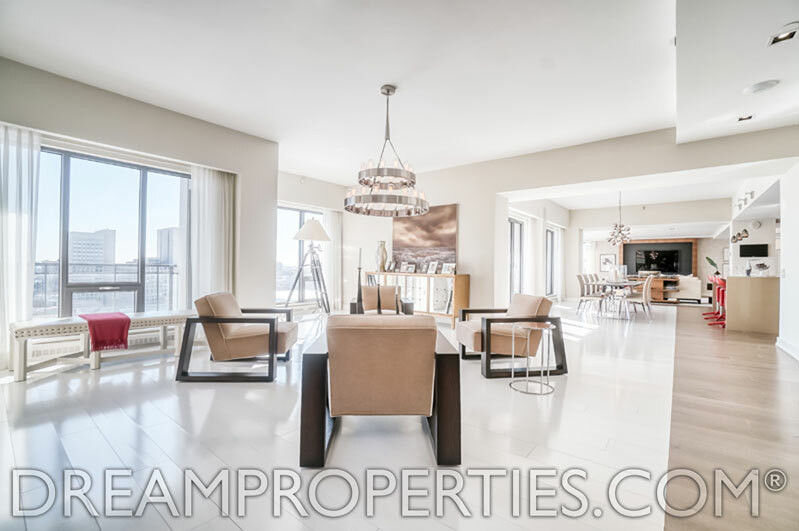 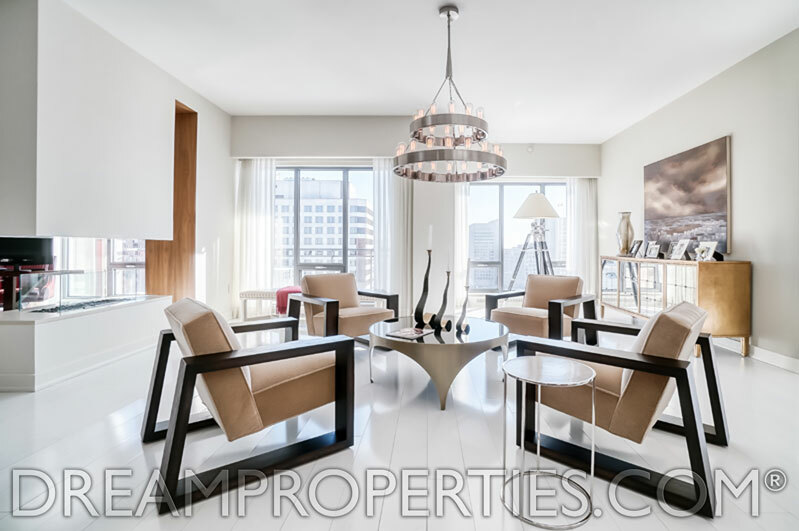 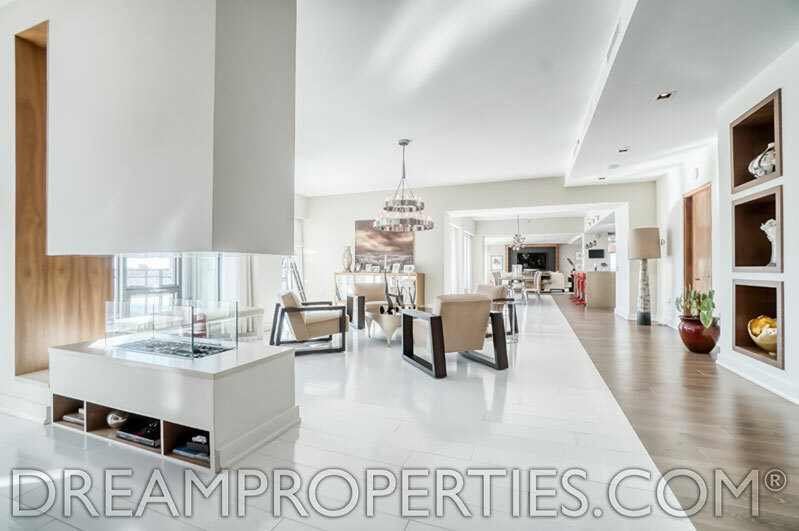 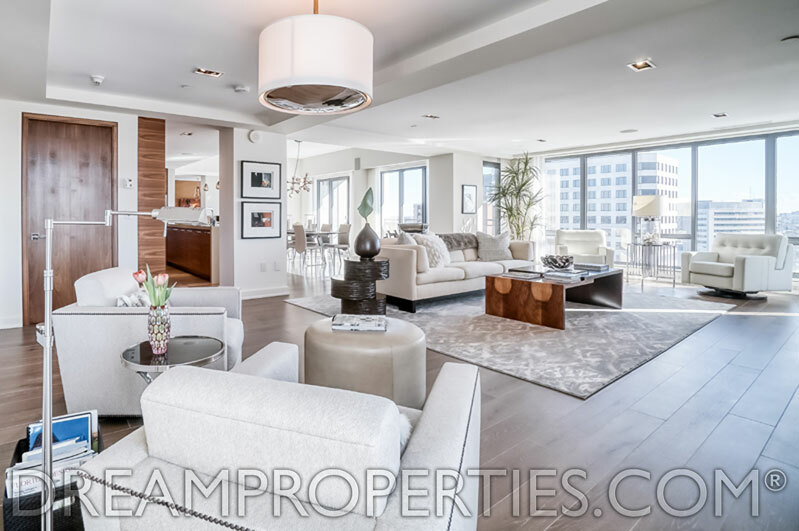 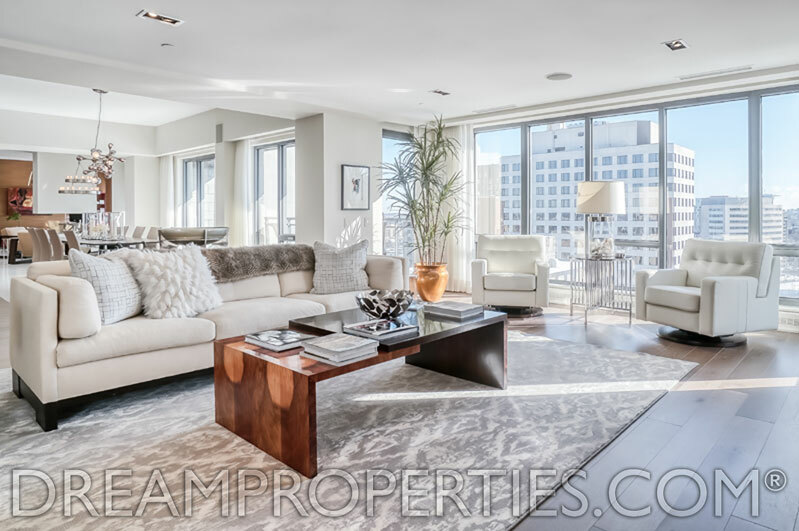 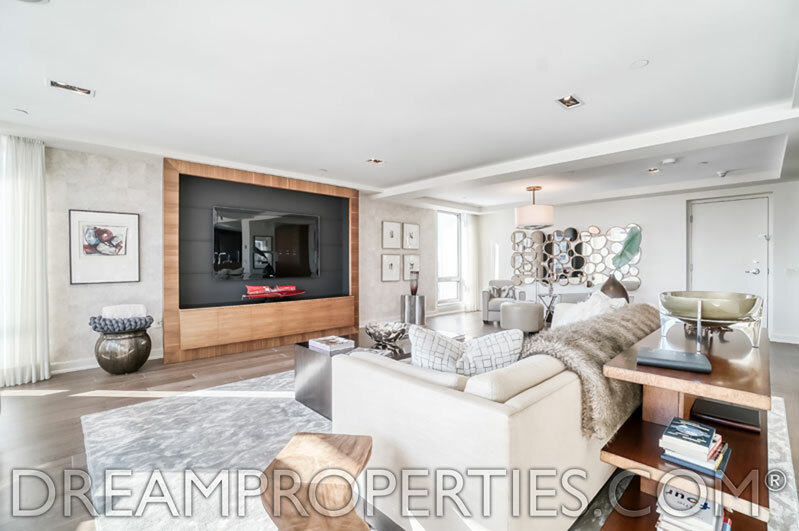 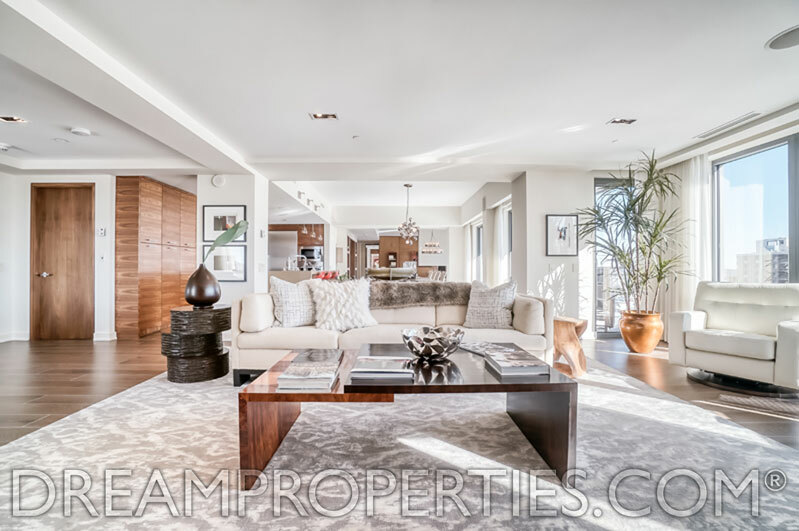 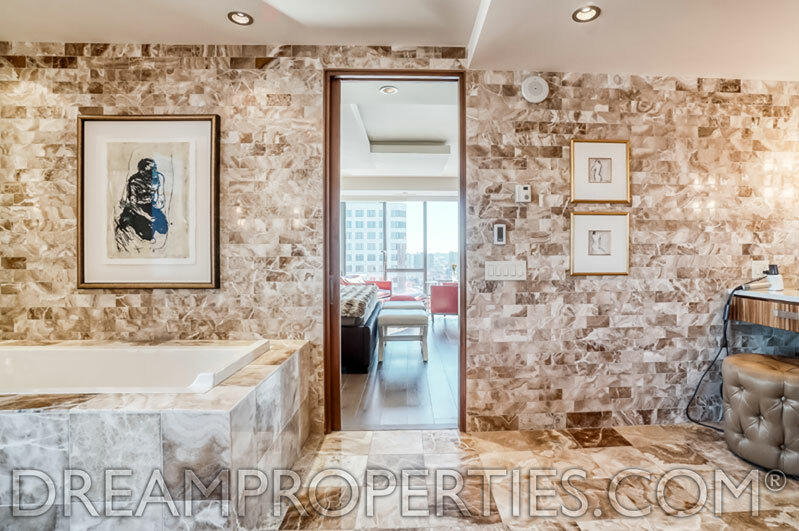 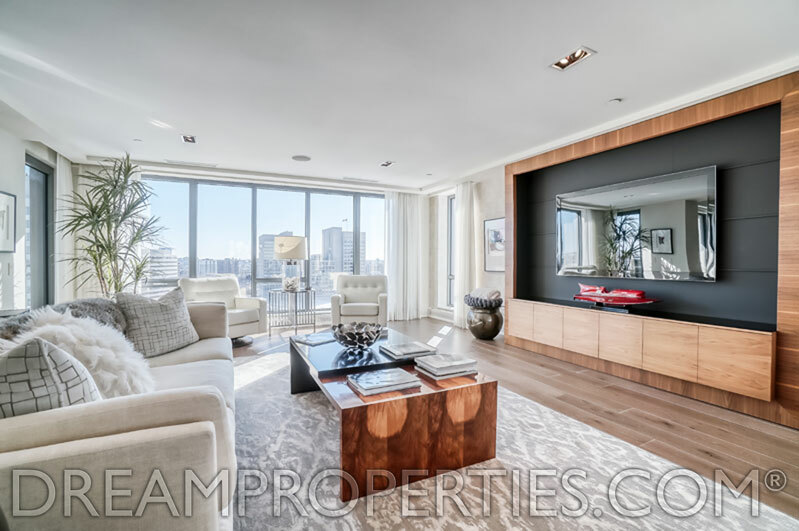 This condo is wider than most city lots. 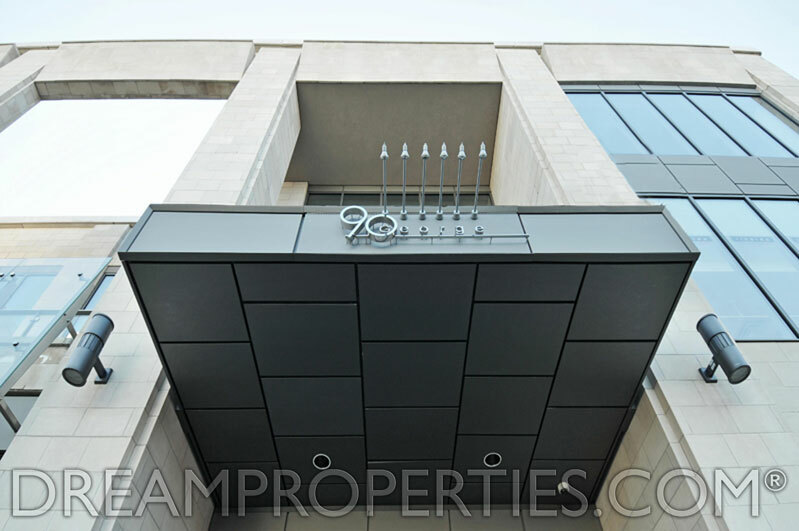 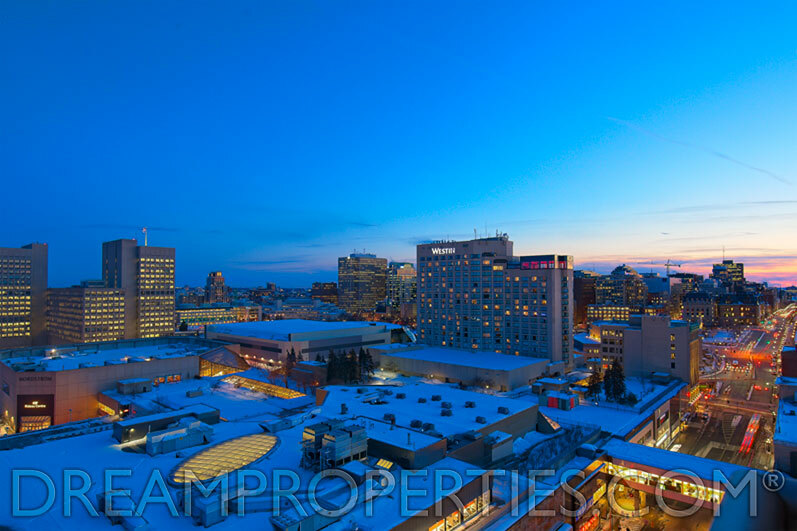 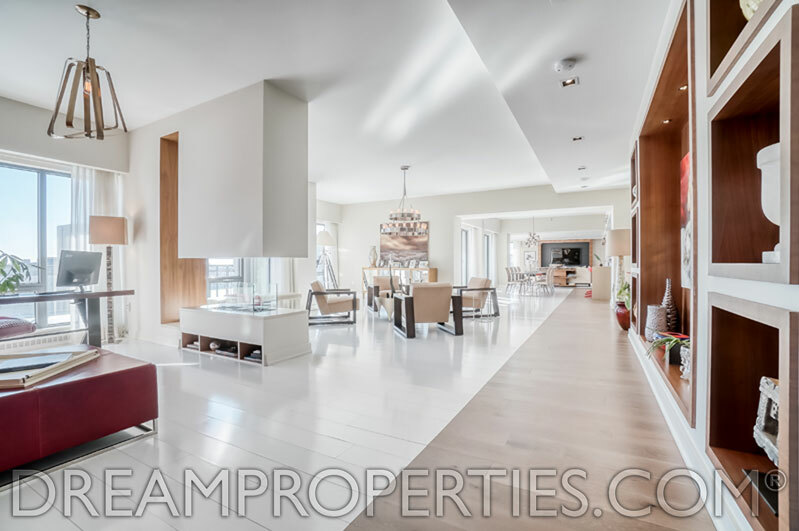 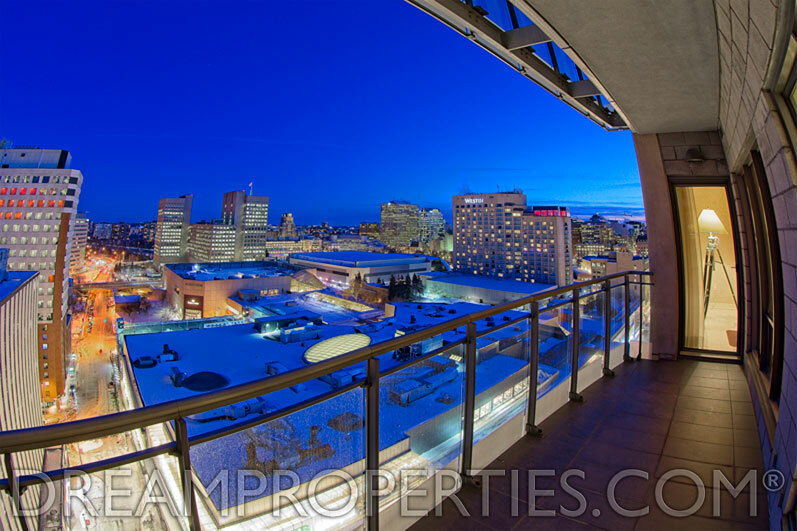 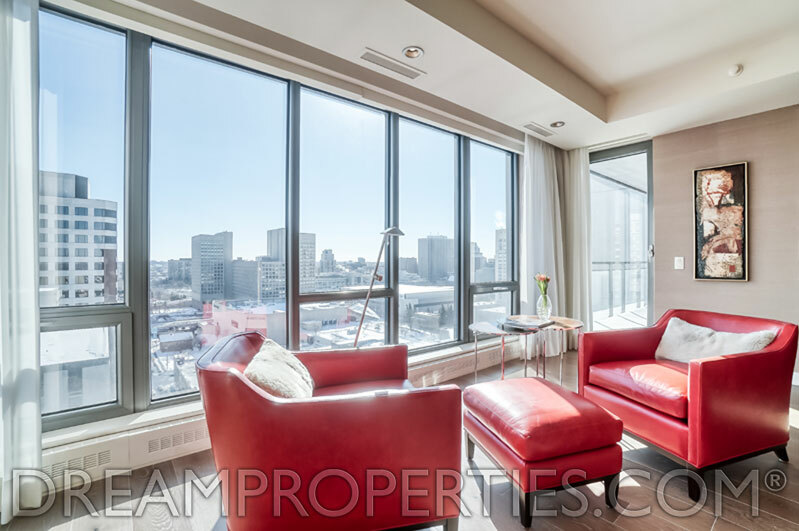 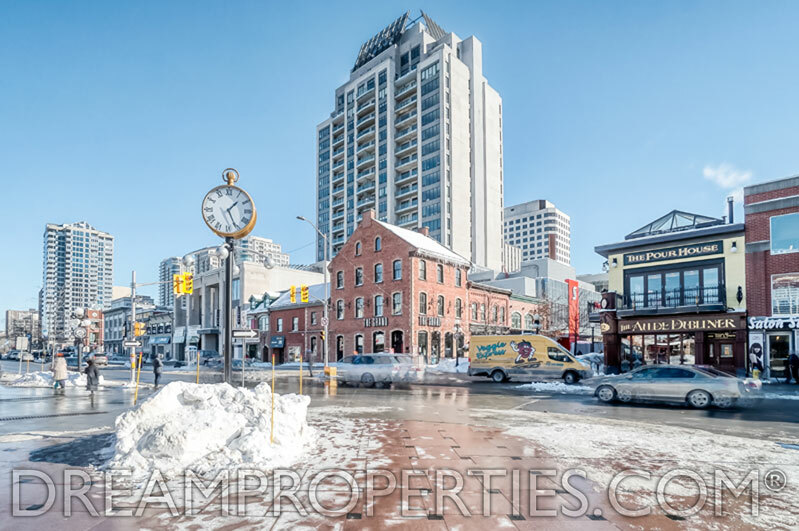 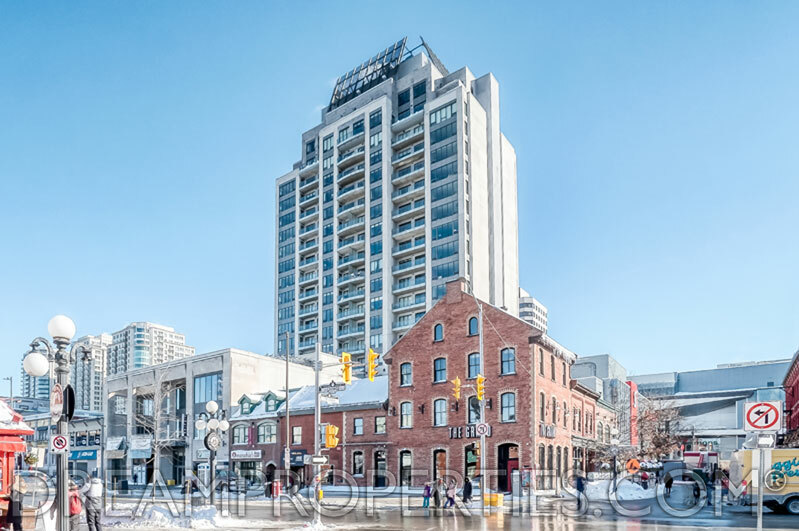 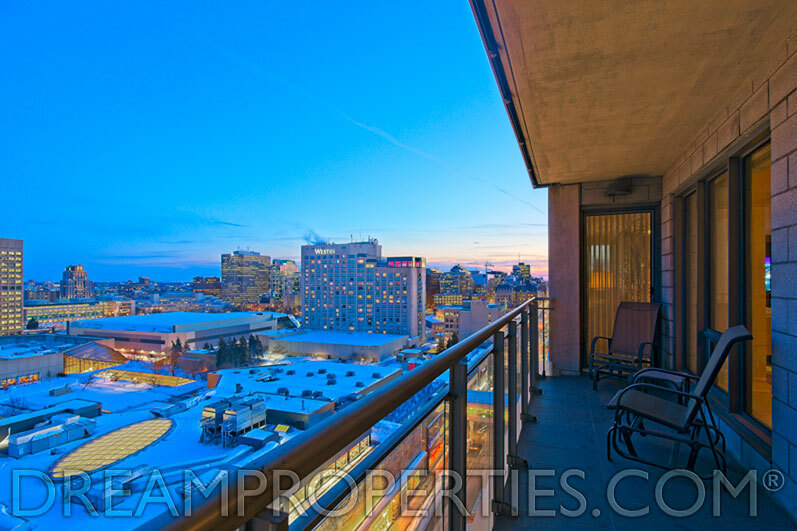 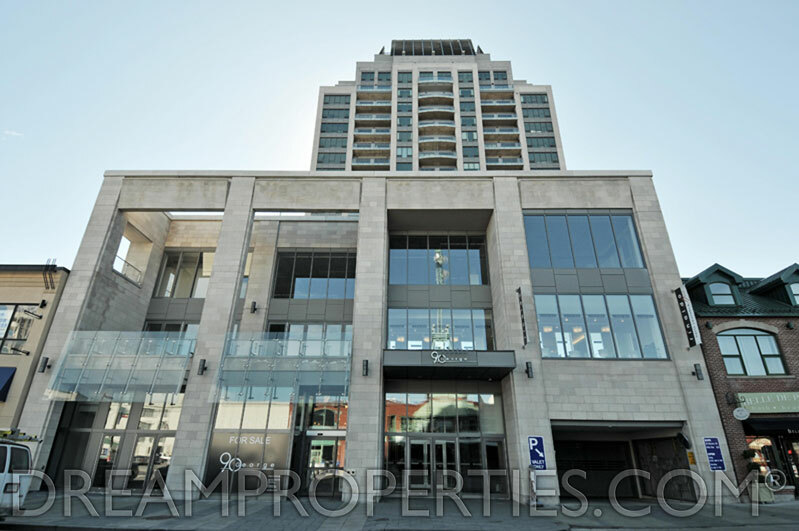 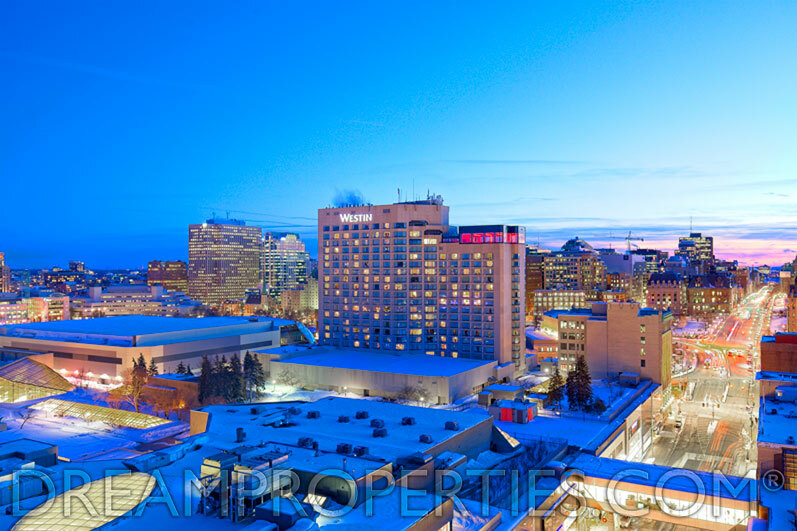 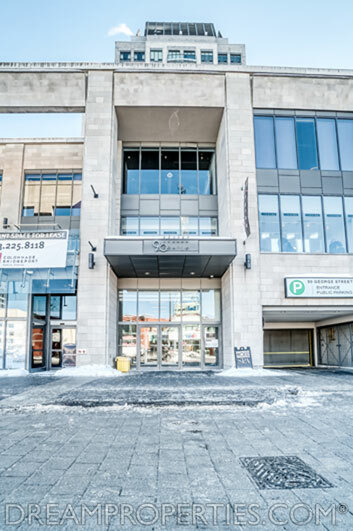 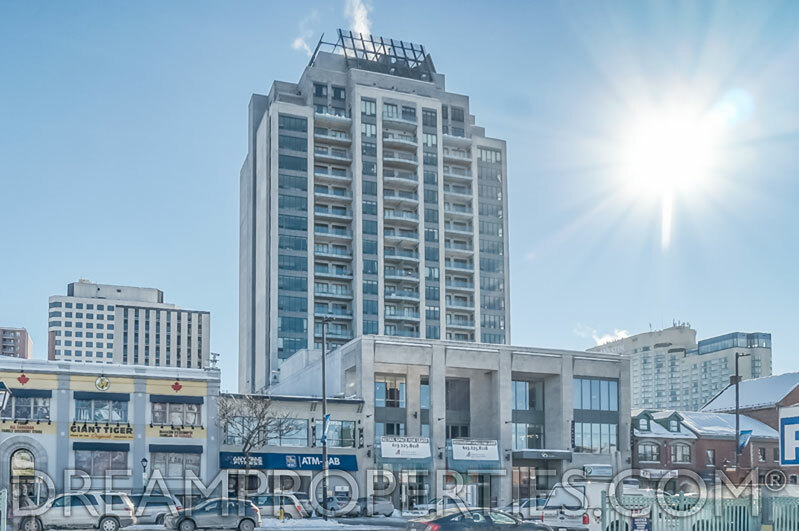 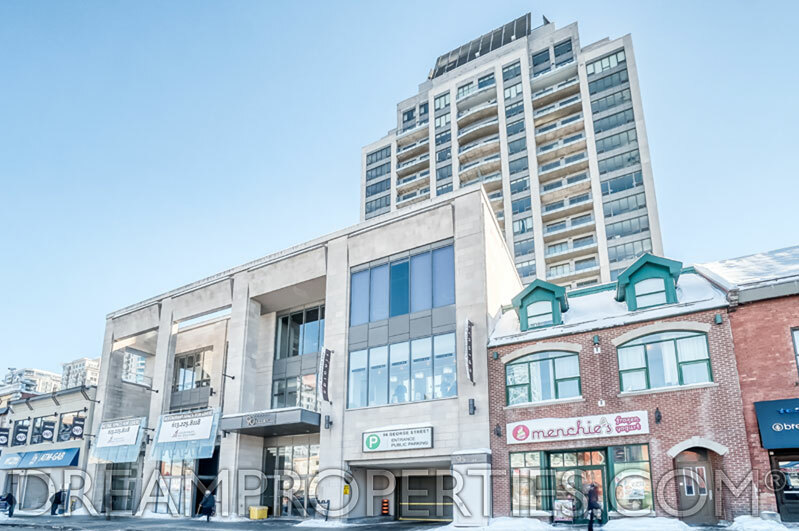 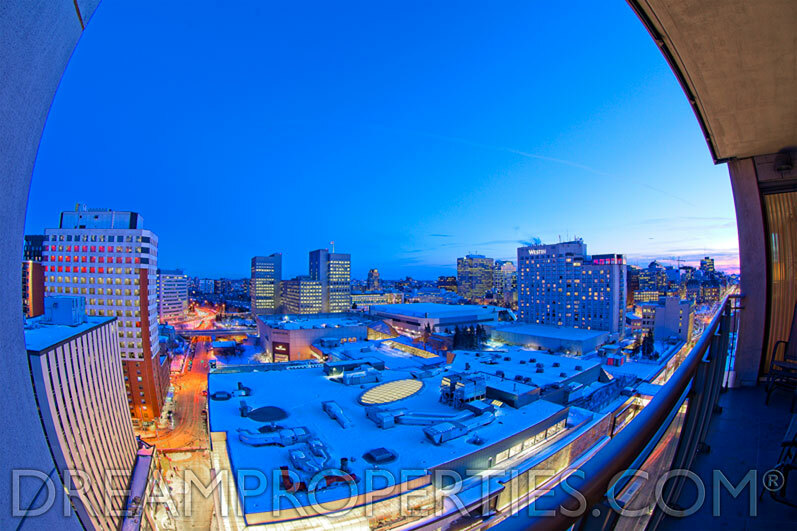 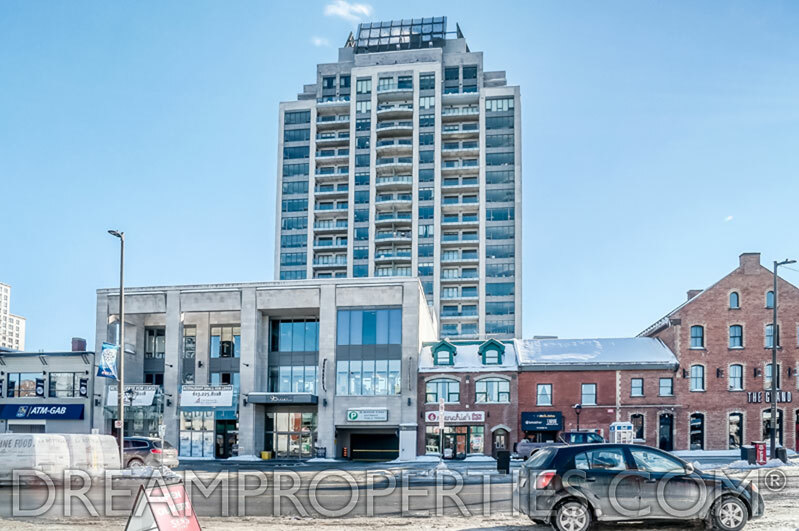 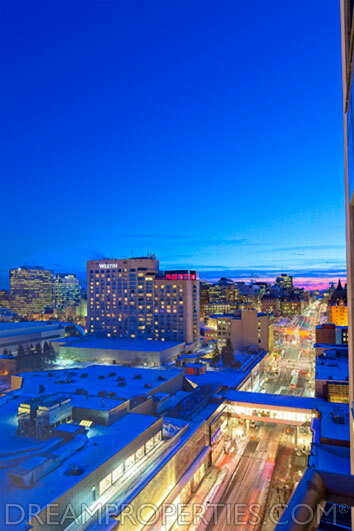 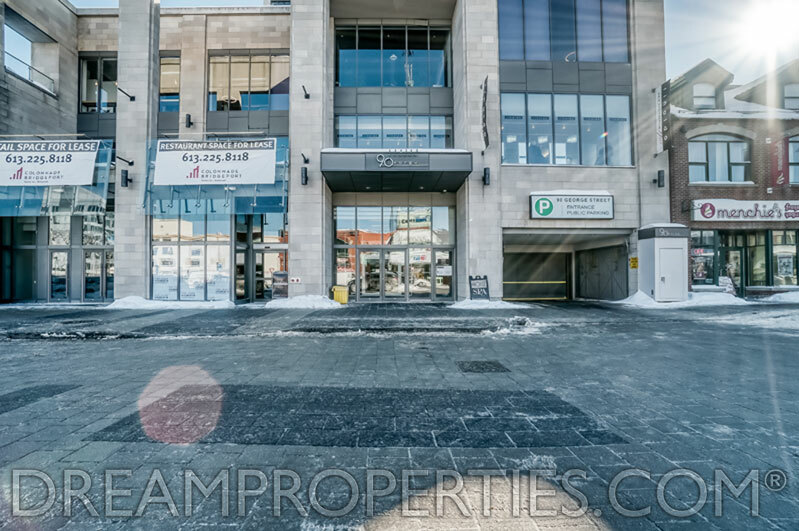 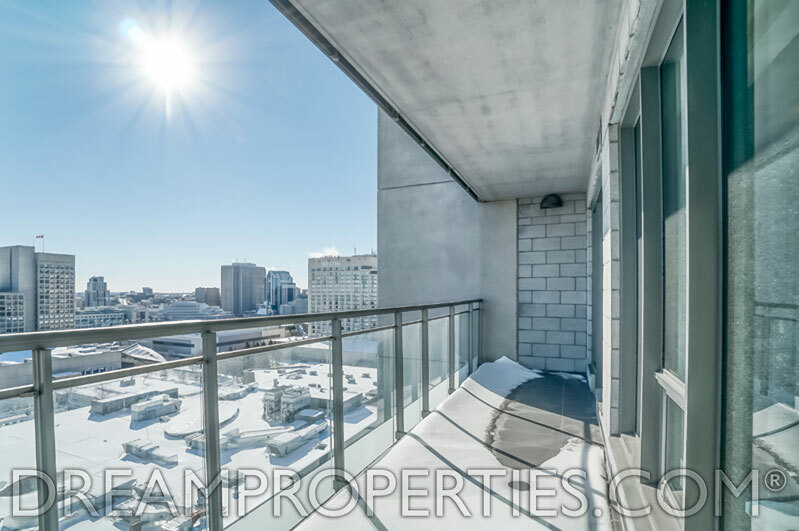 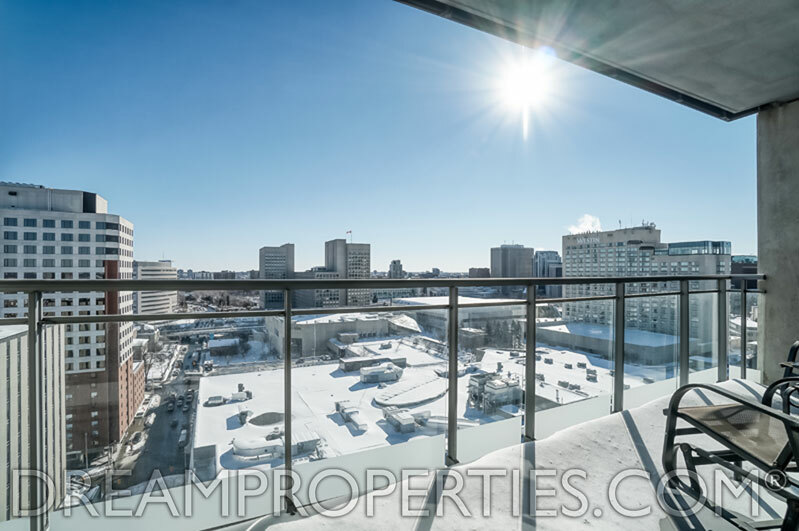 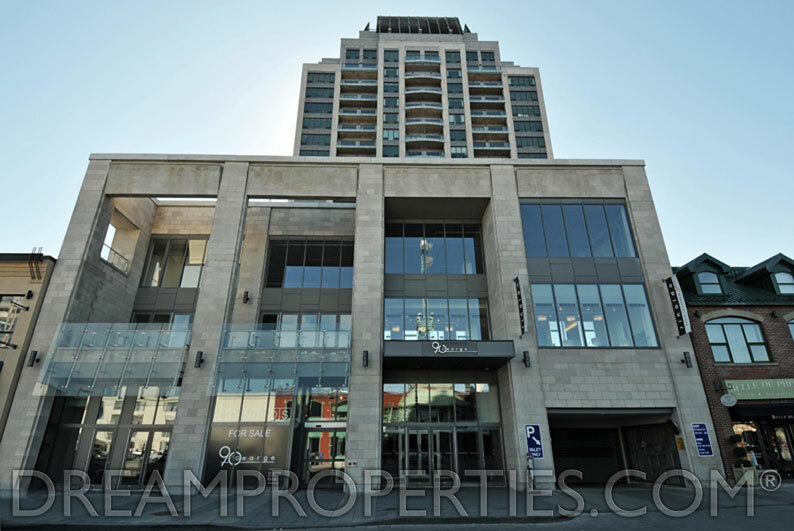 At 125 ft wide, it has sweeping & expansive spaces as well as panoramic views of the Byward Market, Downtown Ottawa & Parliament Hill. 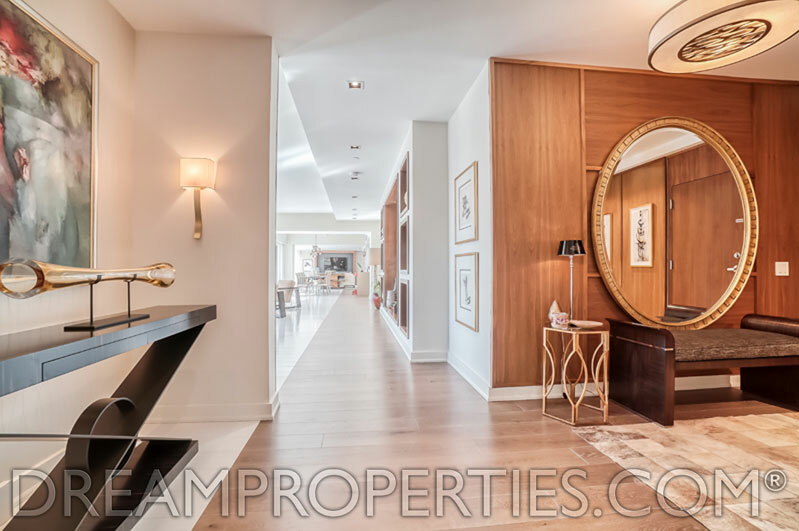 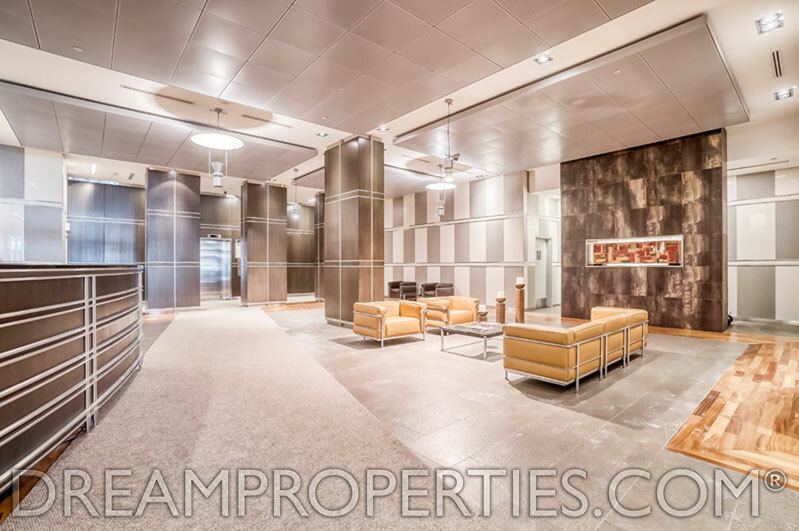 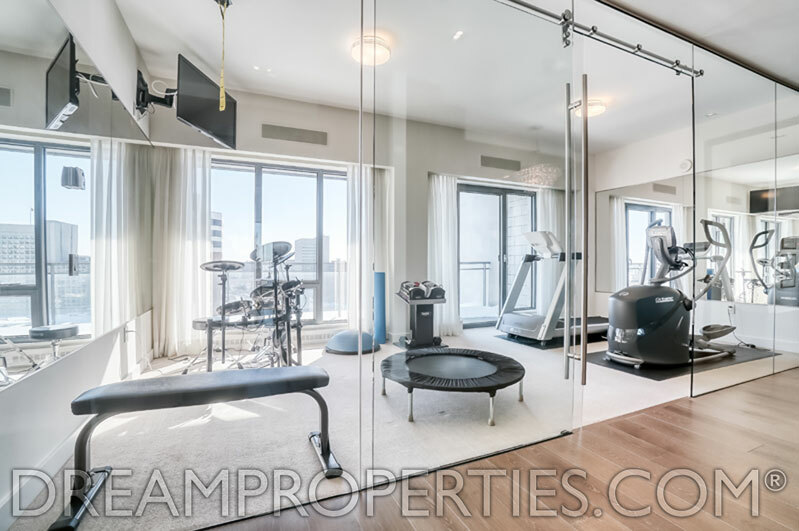 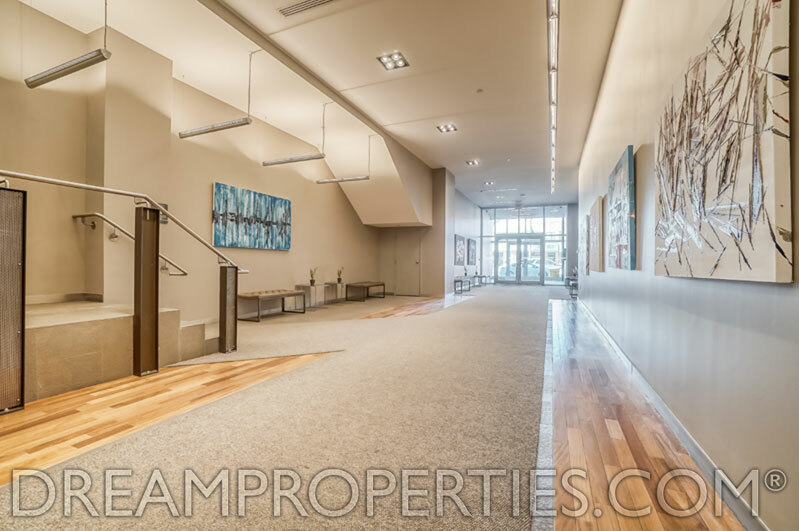 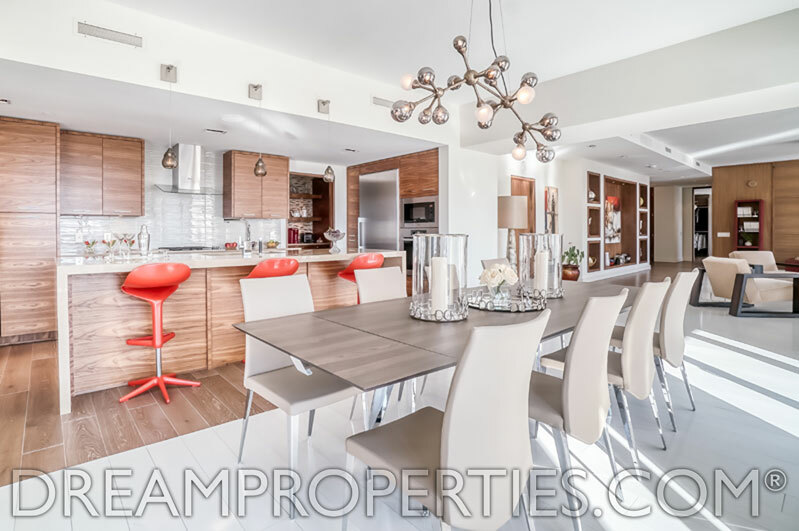 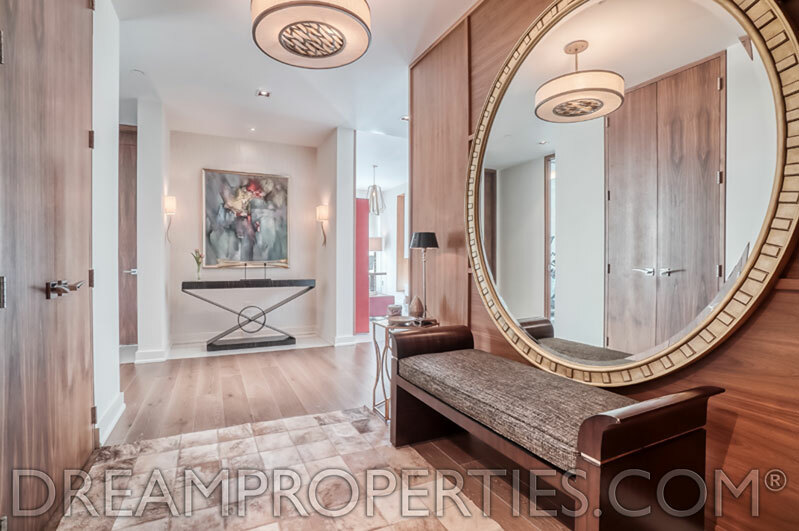 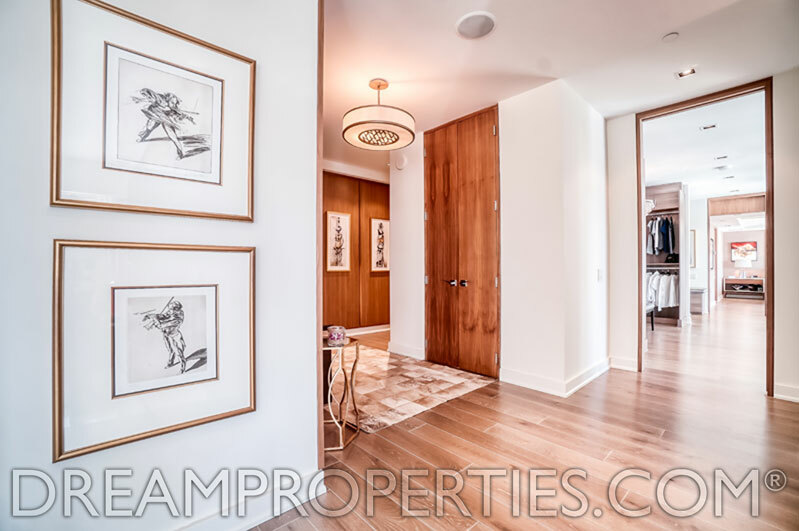 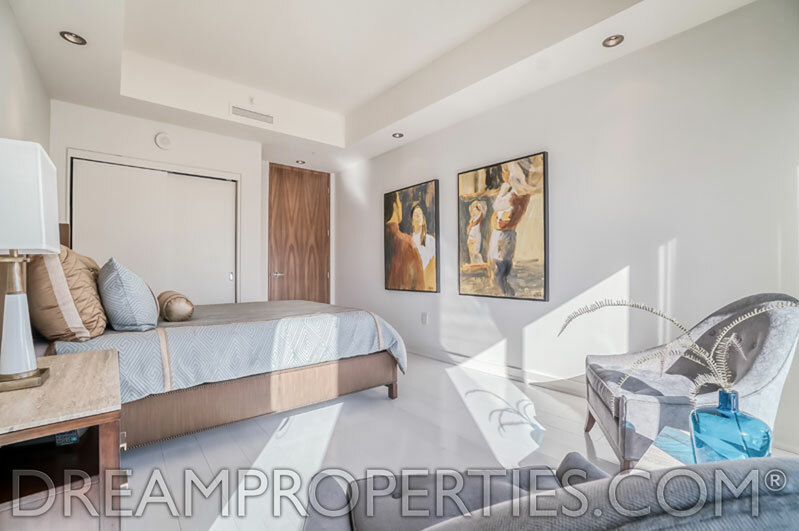 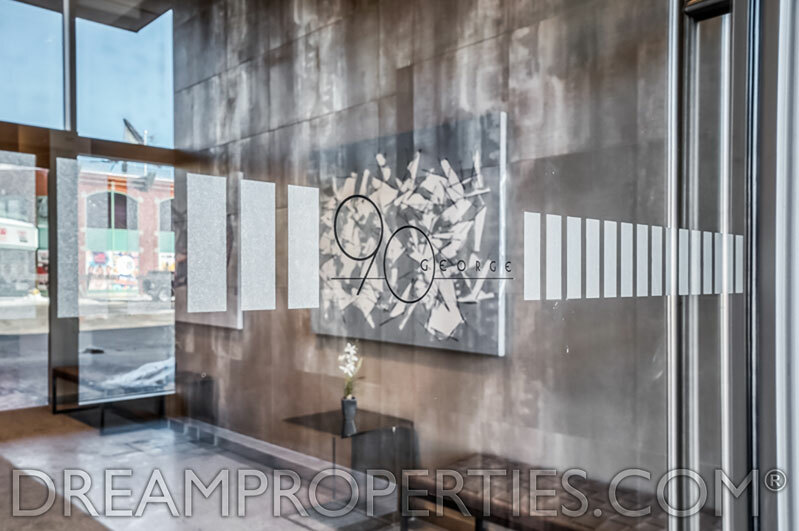 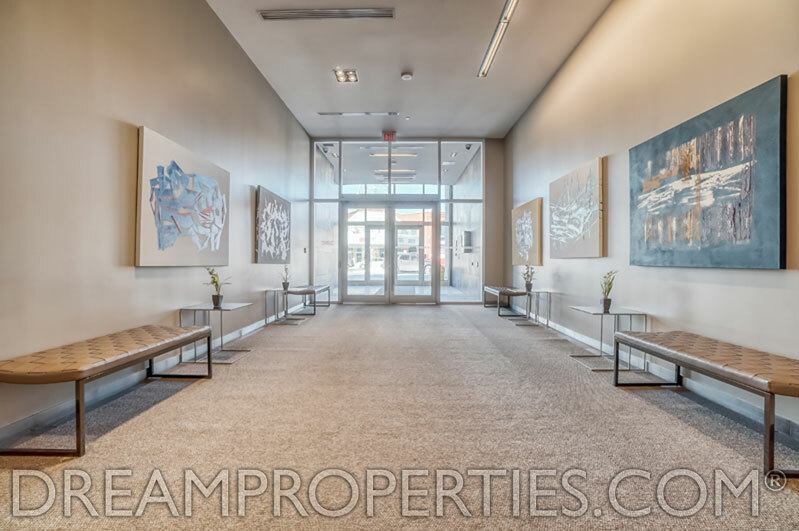 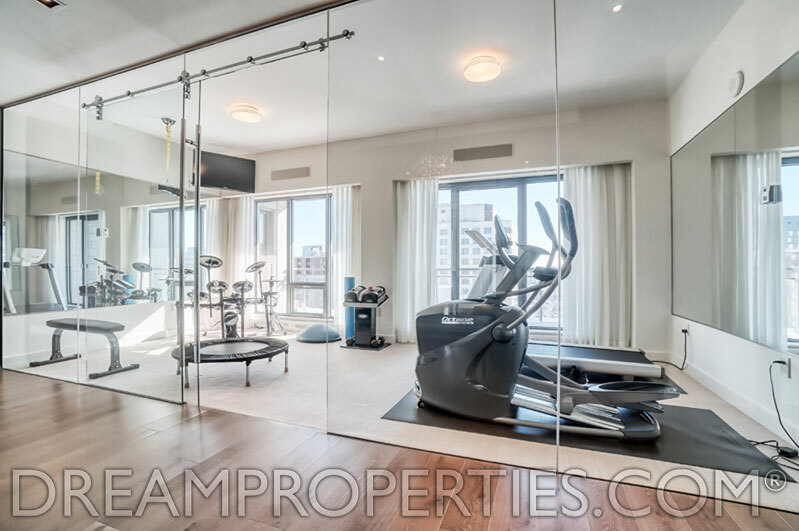 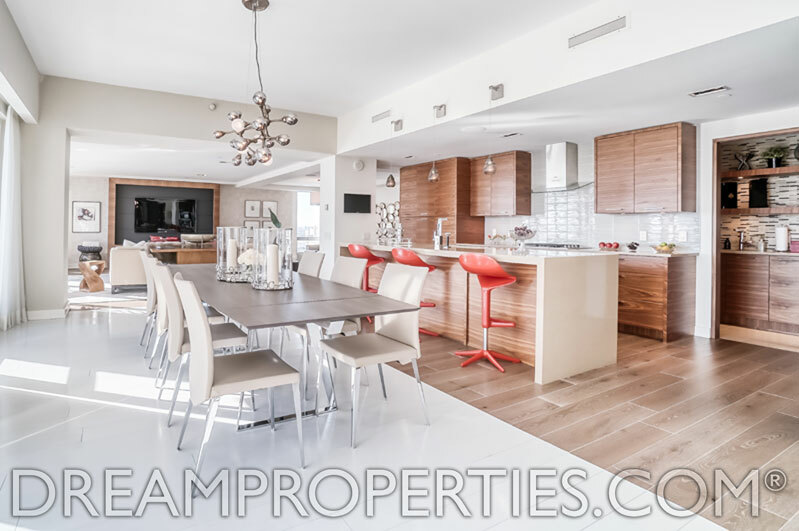 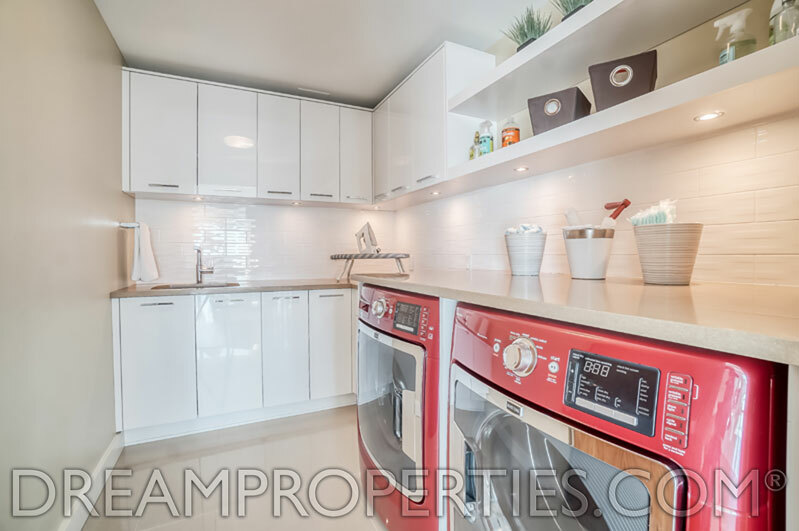 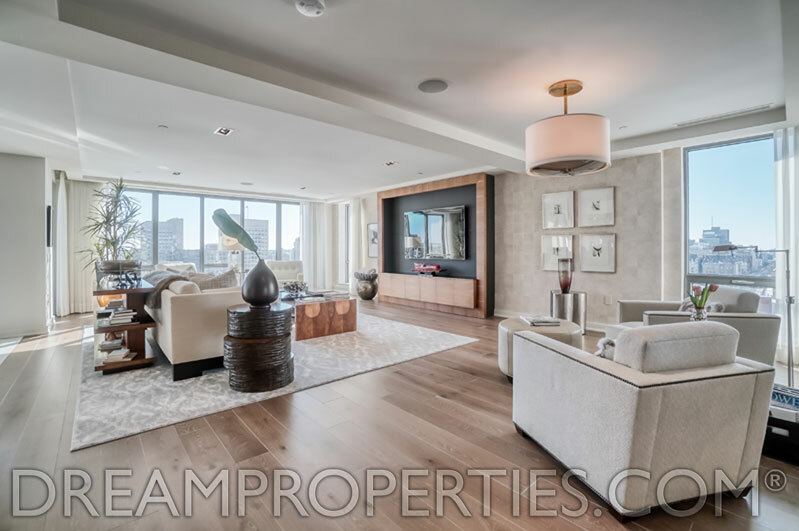 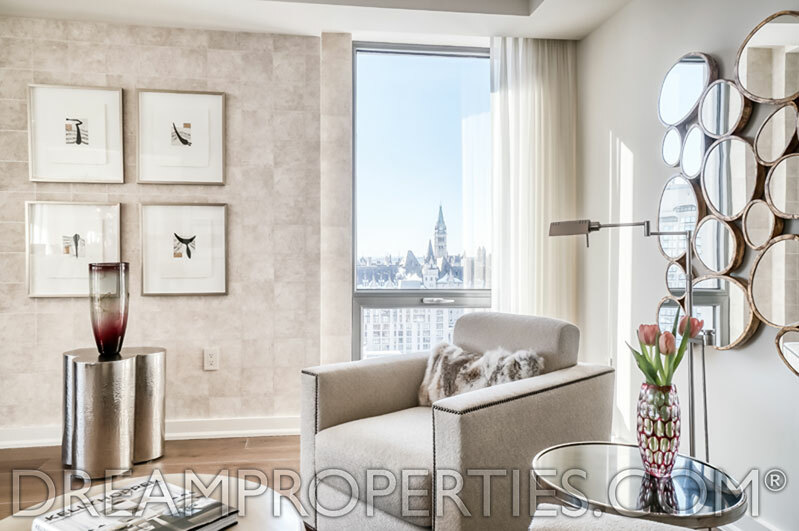 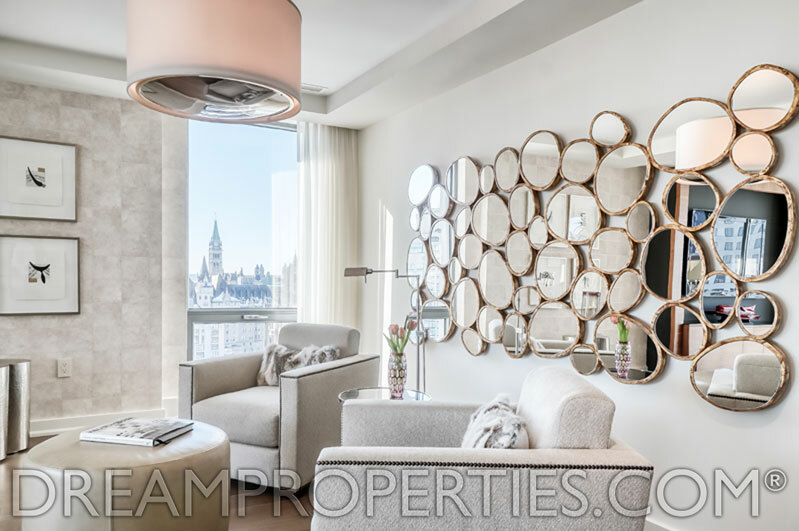 The 4,000 sq ft of designer perfect living space includes a glassed-in fitness room with its own balcony, a spacious laundry room & an incredible pantry with a wet bar & a wine fridge. 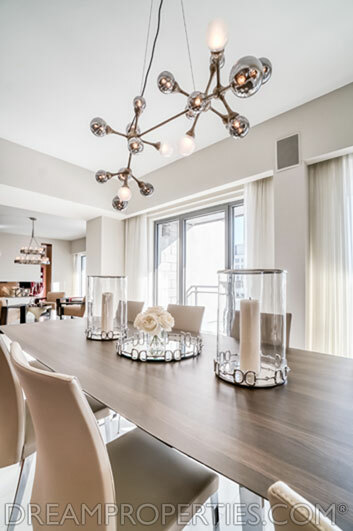 The main living spaces are open concept & elegantly appointed, with custom interiors having been completed with Barry Hobin. 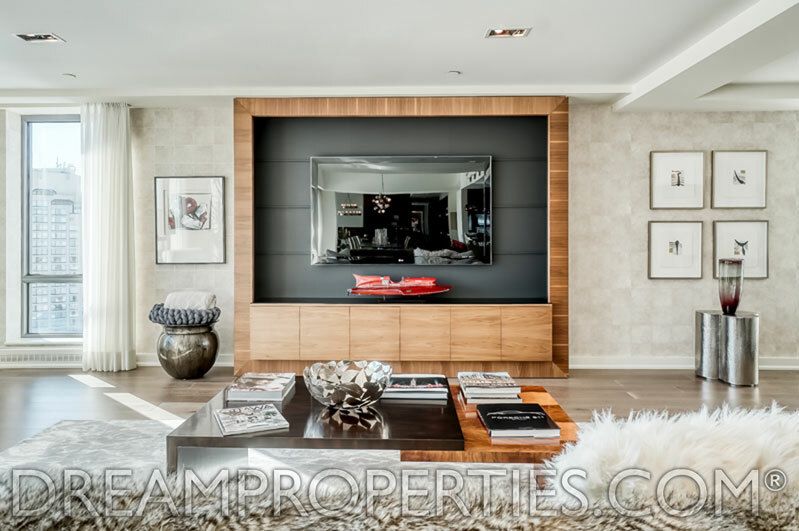 The study and living room share views to a gorgeous glassed-in ethanol fireplace. 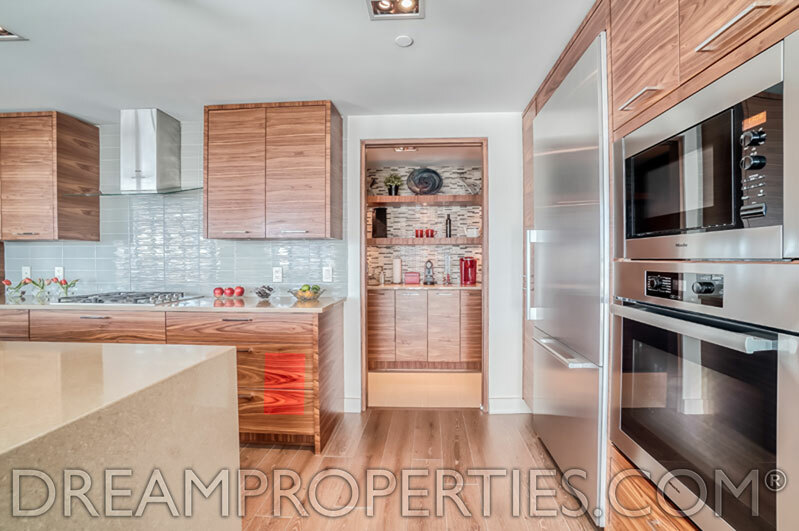 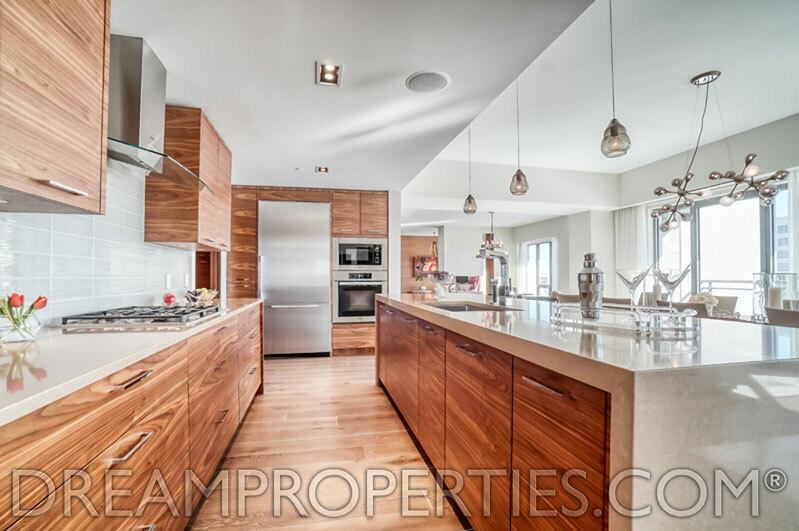 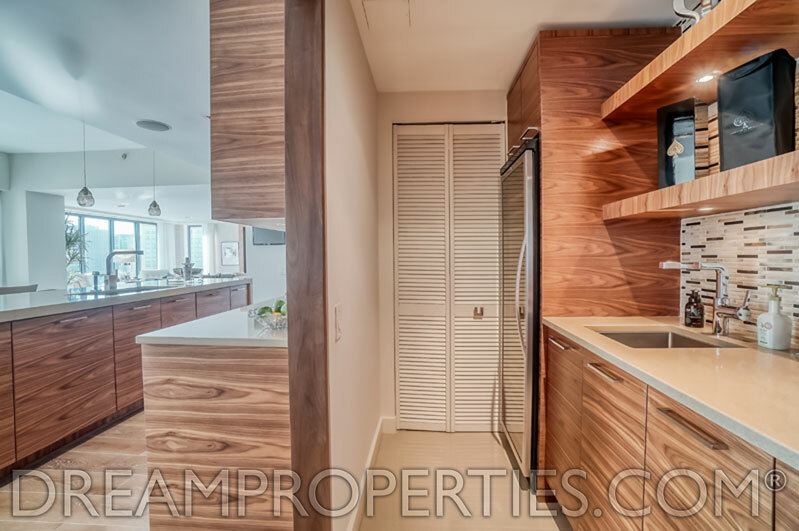 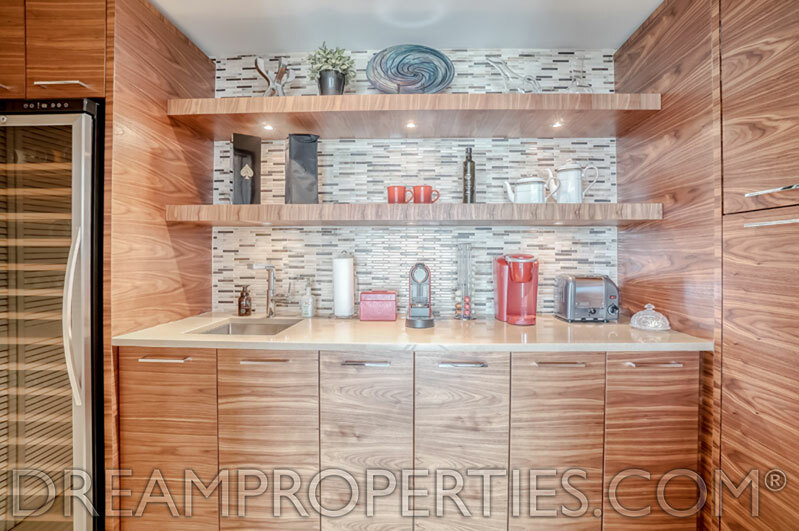 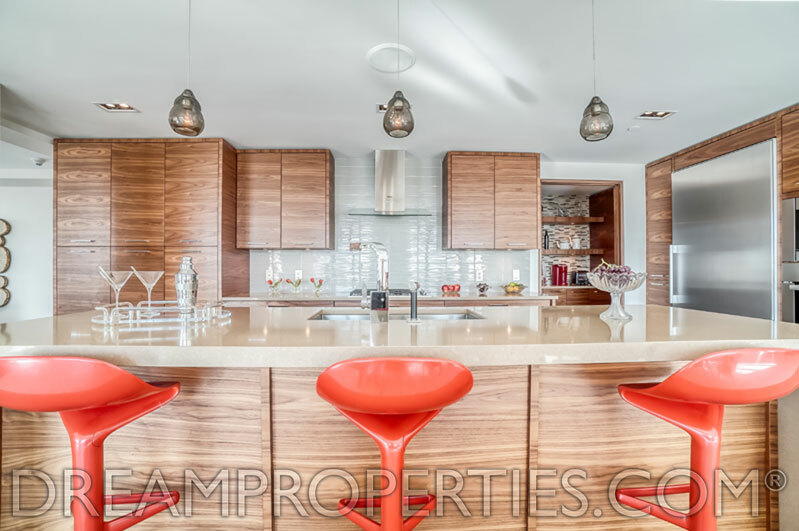 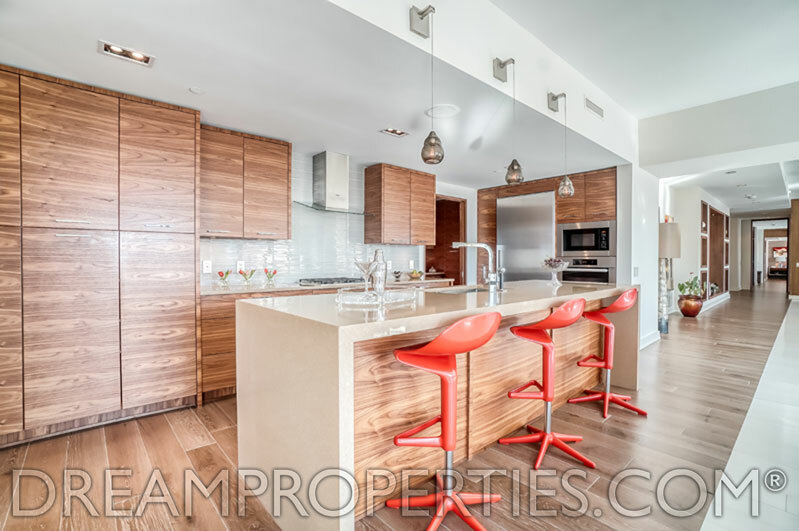 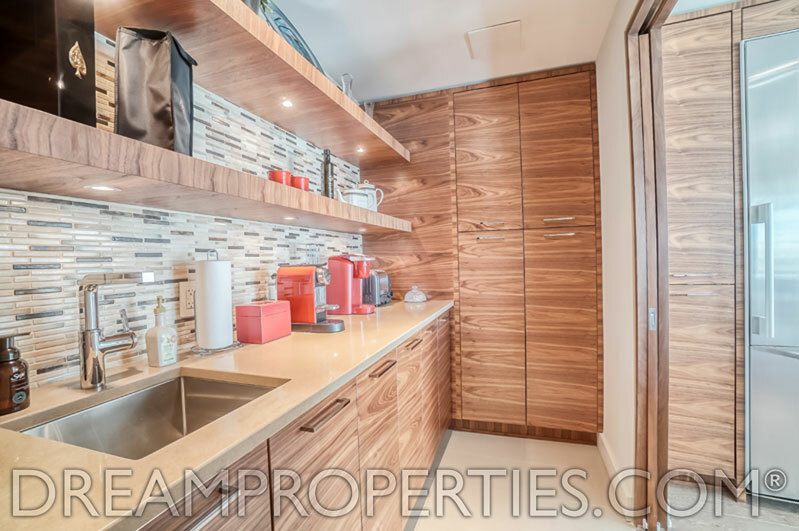 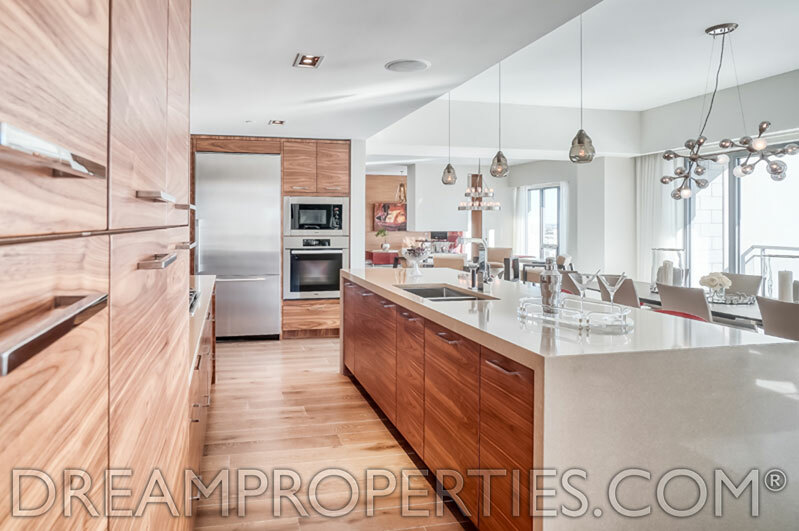 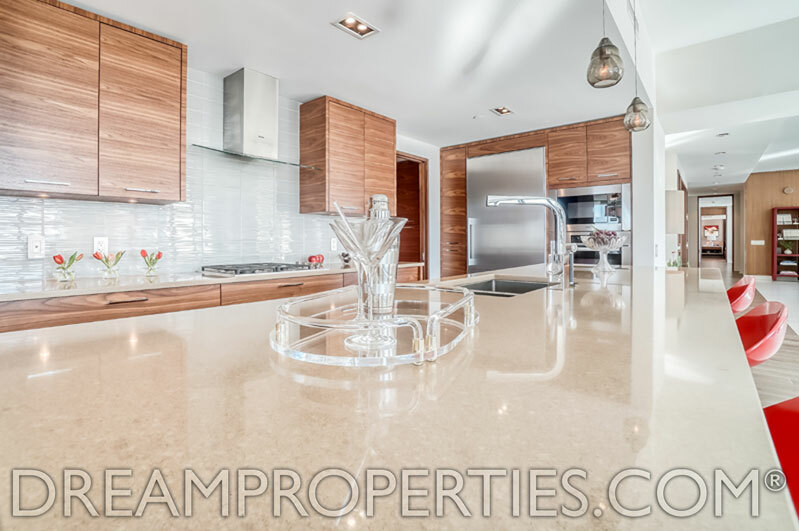 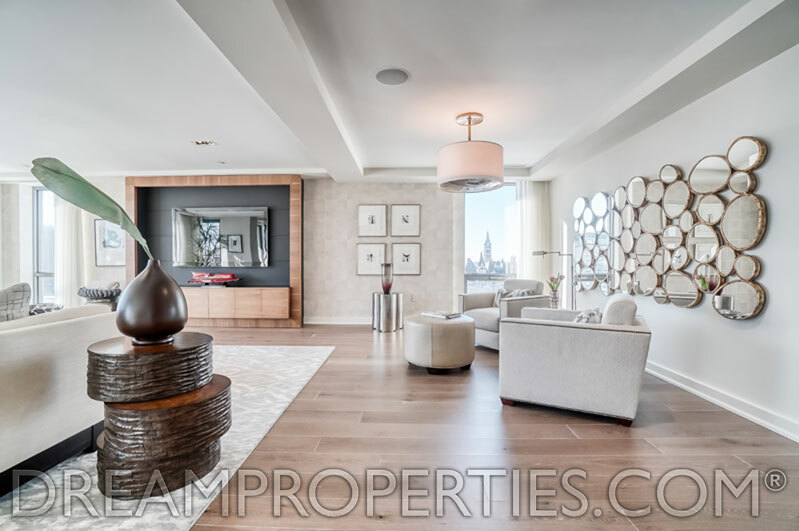 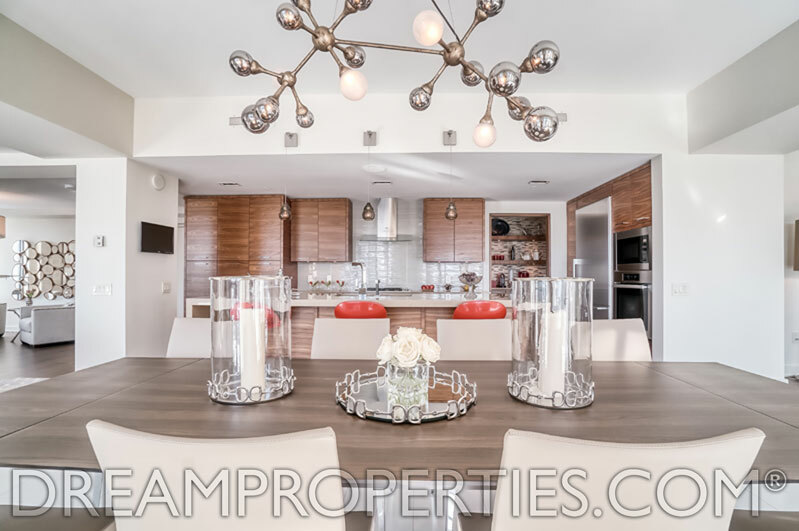 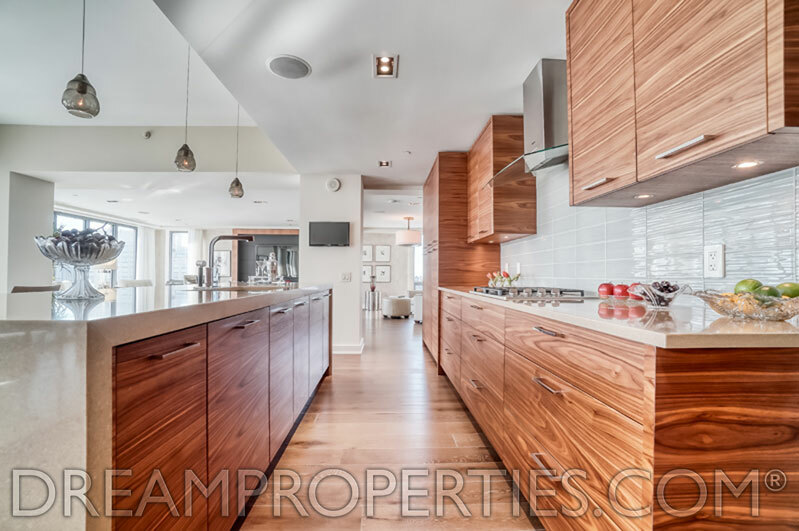 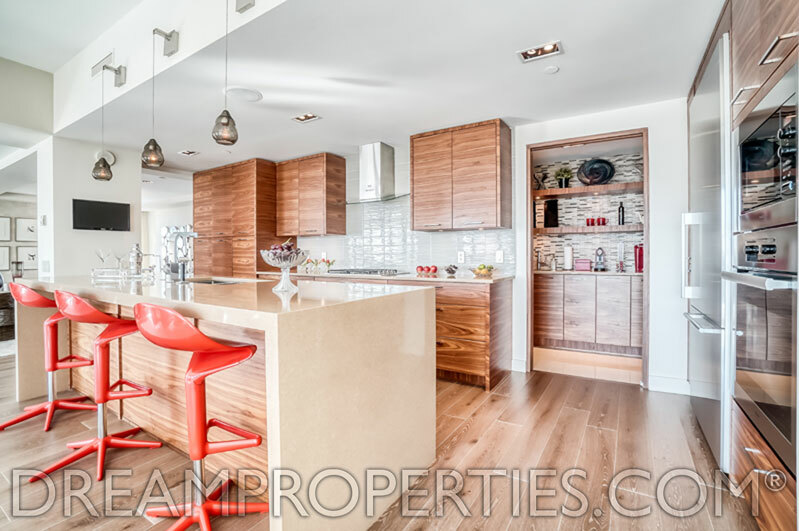 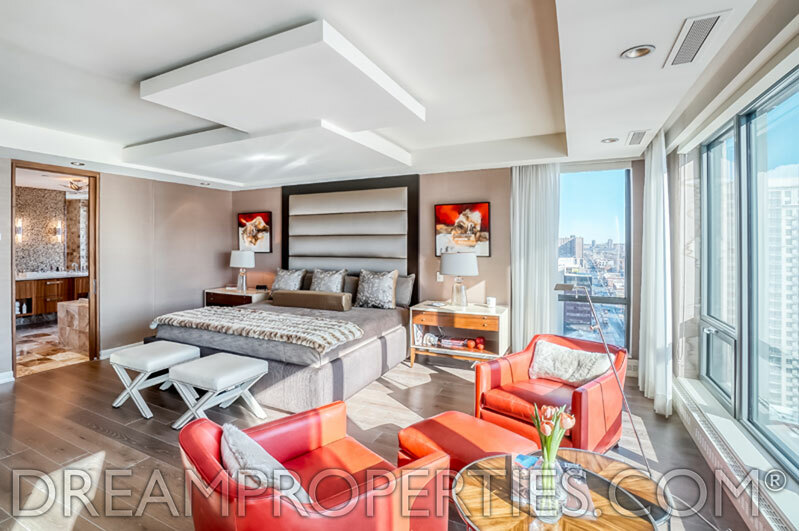 Custom walnut panelling & 7 3/4” wide-plank floors provide stunning architectural accents. 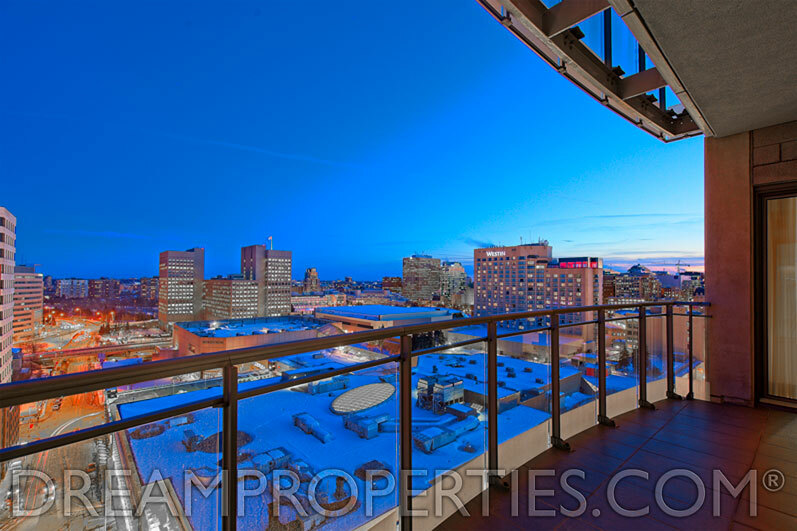 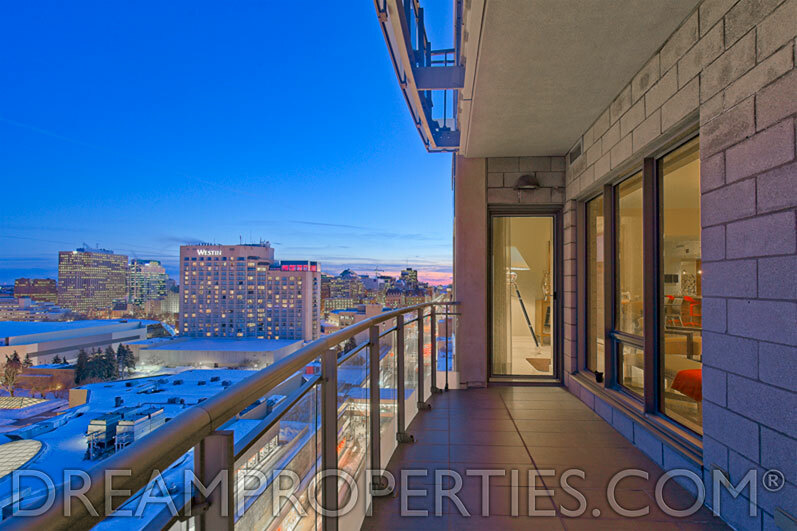 There are jaw-dropping views throughout & these can be enjoyed via the 3 balconies. 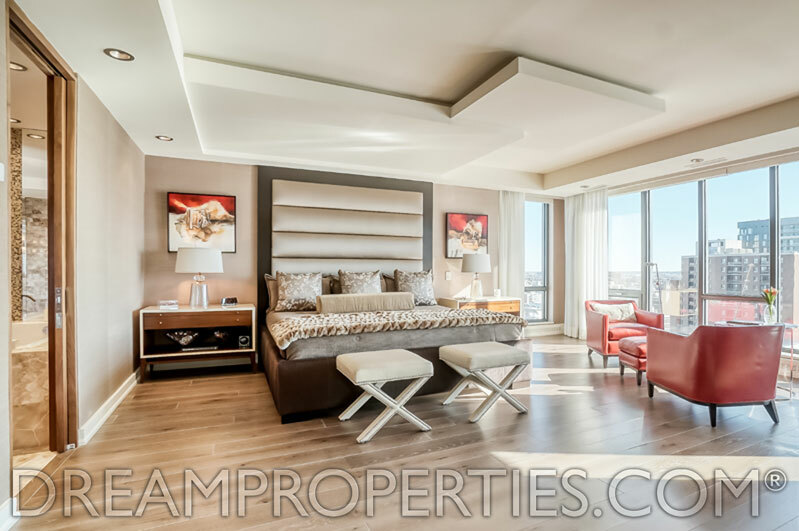 The bedrooms are separate from the main living spaces. 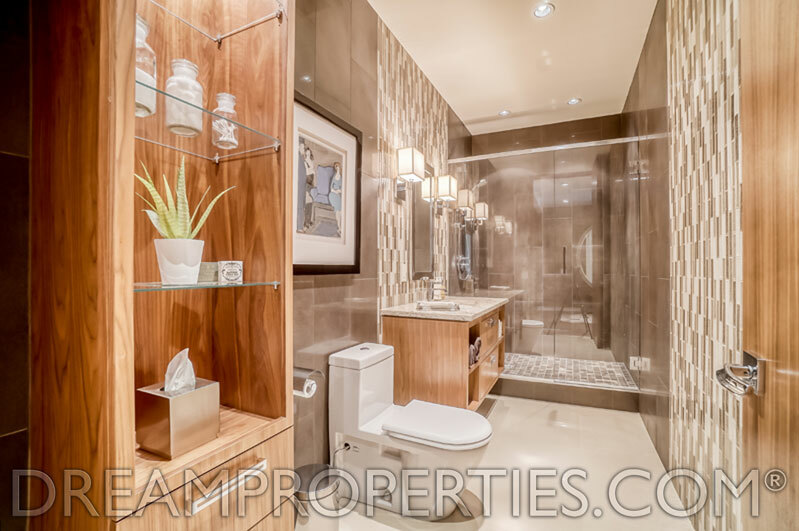 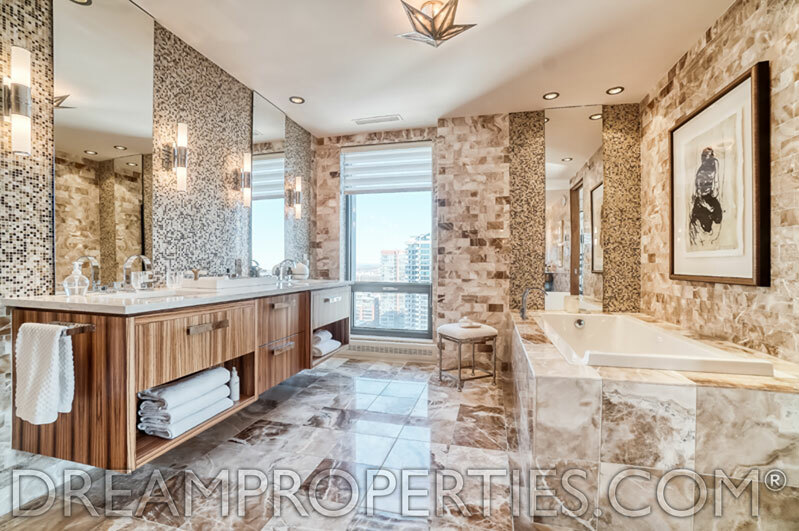 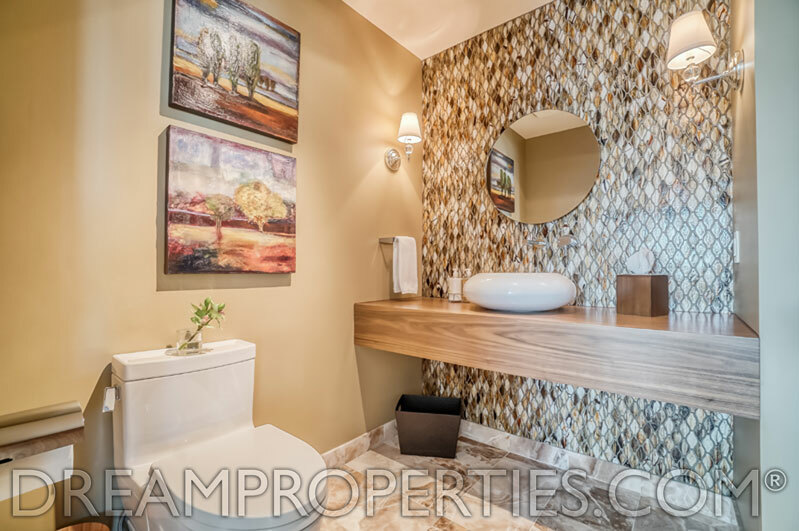 The master ensuite bath is amazing offering a significant shower, 2 sinks, a soaking tub and vanity area. 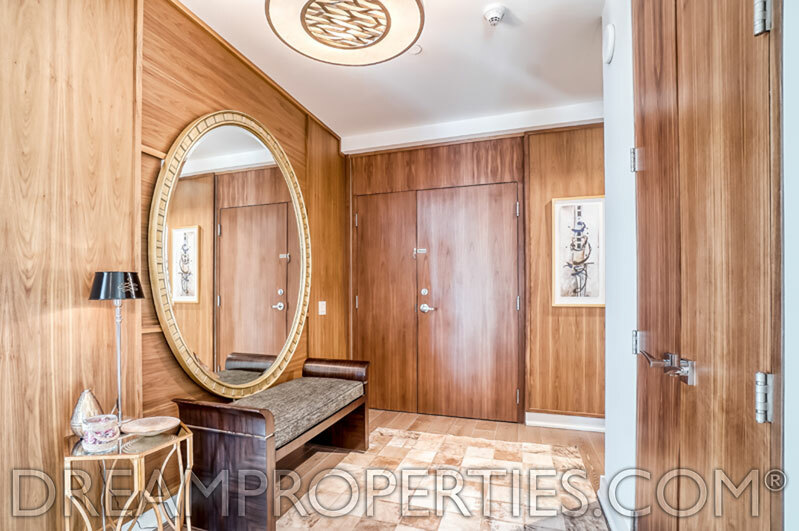 The designer-level master walk-in closets are magnificent. 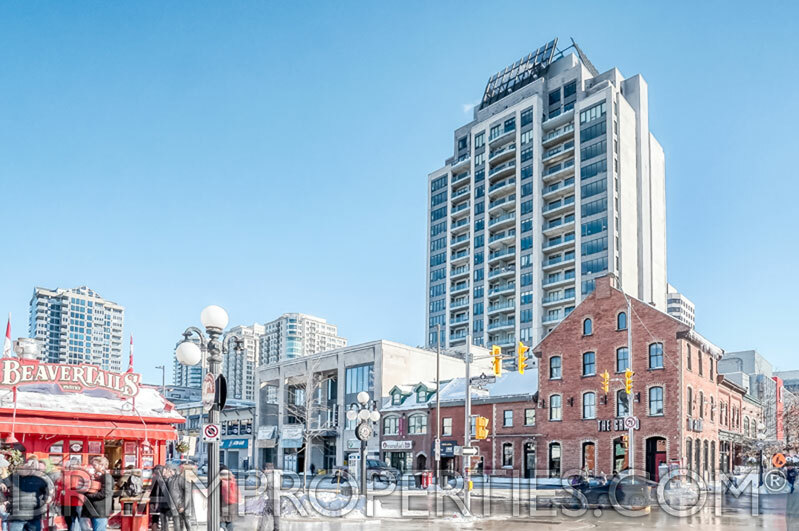 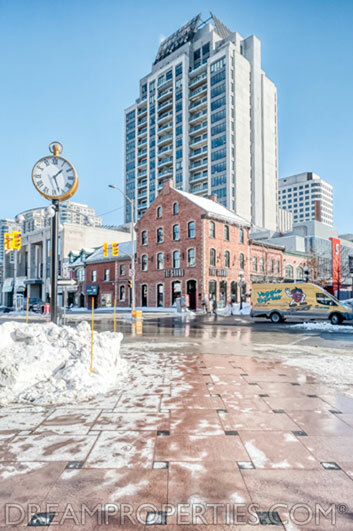 Live beautifully downtown! 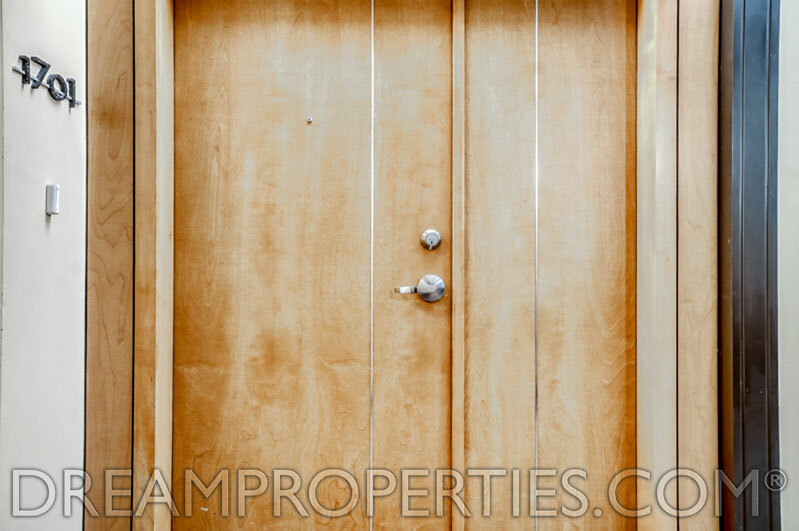 Walk-In Closet: 6'4" x 5'5"
Living Room: 27'4" x 19'6"
Dining Room: 22'3" x 10'6"
Family Room: 30'1" x 19'7"
Fitness Room: 20'7" x 10'5"
Master Bedroom: 19'1" x 18'10"
Master Ensuite Bathroom: 18'0" x 11'0"
Walk-In Closet: 27'5" x 11'5"
Full Bathroom: 13'8" x 5'1"
Laundry Room: 9'6" x 6'8"